This book is not a valentine. It doesn't have lacey edges or sugary hearts. But it is full of lucky rocks, secret hiding spots, and gumball machine treasures. This is a book about waiting in line and wishing for cinnamon buns. About recognizing that if you care so much about someone not thinking you care, maybe you really do. But wait—isn't that exactly what love is about? Maybe this book is sort of a valentine after all. 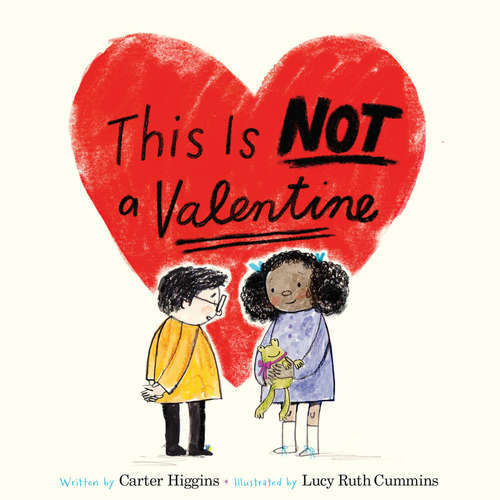 A testament to handmade, wacky, bashful, honest love—sure to win over the hearts of all readers—this offering from debut picture book author Carter Higgins and children's book veteran Lucy Ruth Cummins is the perfect gift to celebrate every relationship, from parent to child, sibling to sibling, partner to partner, crush to crush. Plus, this is the fixed format version, which looks almost identical to the print edition.